The Moover Rocking Horse is a well crafted traditional toy that will be loved by all children. 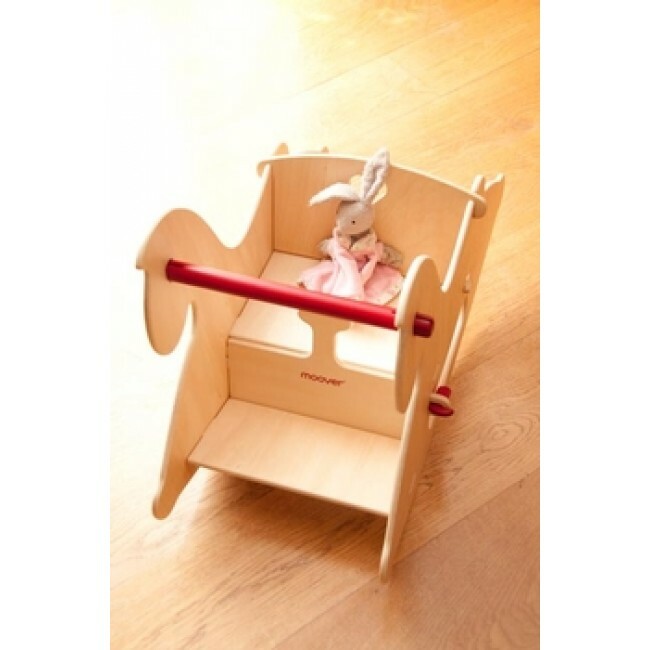 This quality range of wooden toys from Denmark are created to encourage toddlers to safely explore the world around them. The range is unique in the way in which it mixes traditional craftsmanship with bold, contemporary looks. 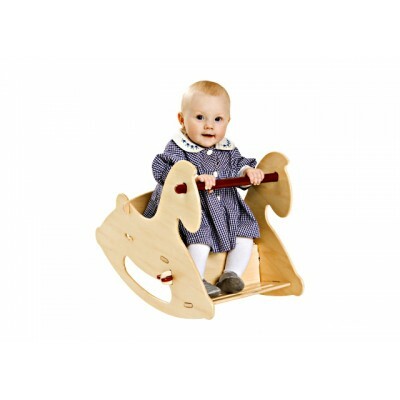 The Moover Toys’ Rocking Horse is fun and instructive and has been designed with safety in mind for very small children. . It is designed with a special ‘brake curve’ and so ensuring that the horse does not tip or rock too high. This brake works automatically and unnoticed by reducing the speed when the horse reaches its highest point. It is designed so that your child sits securely in a protected seat and stays in a safe position during motion and is unable to touch the ground. The seat is intentionally designed so that takes some time for a child to climb into it and so effort provides a reward. Available in a beautiful natural colour with red accents or striking cherry red with yellow detail. 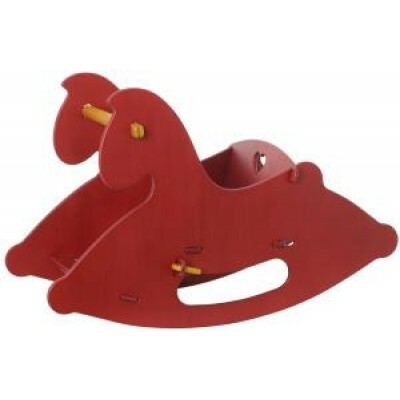 The Rocking Horse is delivered in a flat pack and can be assembled simply and quickly with a ‘click key system’ without the need for any tools. Most importantly, for today’s environmentally conscious parents, each item is lovingly crafted from wood sourced from sustainable sources. Each toy is designed to encourage children to develop their motor skills confidently and at their own pace. This stylish robust Rocking Horse will bring endless joy to a family and with the quality of craftsmanship will last the generations.